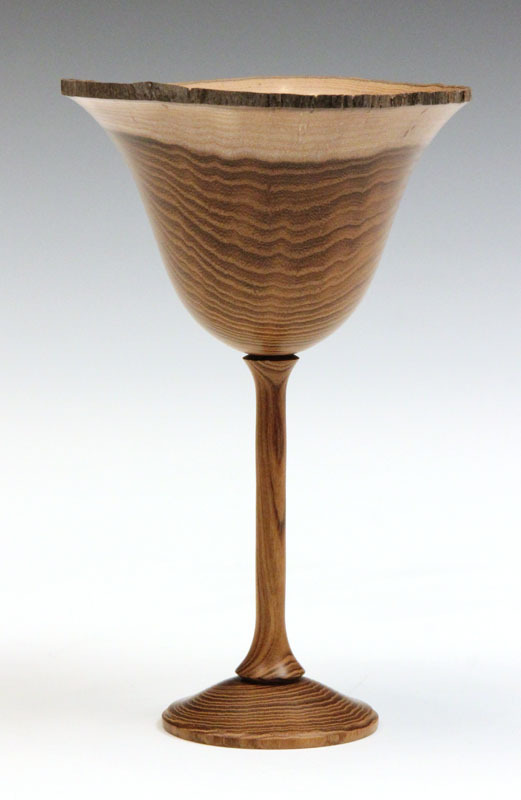 Woodturning can be a very rewarding pastime but as with any craft, some tuition and guidance can put you on the right track. 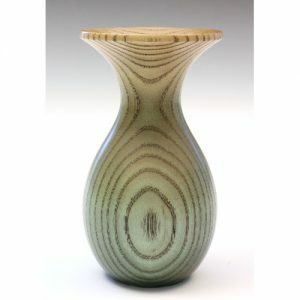 Paul generally tutors on a one to one basis but would be able to accommodate two people if you and a friend wanted to learn woodturning together. 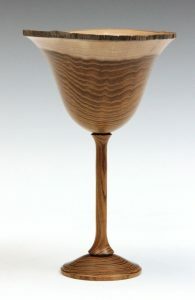 Woodturning lessons from absolute beginner to advanced can be arranged and can be tailored to suit your requirements. Below are some of the general areas covered in the beginners woodturning course and some topics for intermediate and advanced levels when you feel ready to progress further. Courses are held at Paul’s workshop in the Forest of Dean, Gloucestershire but if you would prefer tuition on your own equipment in your own workshop, that can be arranged. 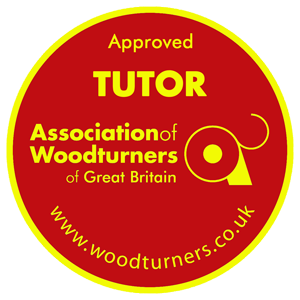 Paul is a member of the Association of Woodturners of Great Britain (AWGB) and is an AWGB approved instructor. 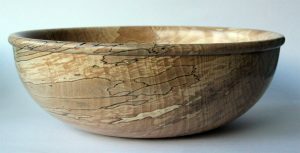 Woodturning is not without its hazards and awareness of what can go wrong and adopting a safe approach will ensure you don’t come to any harm. The plethora of woodturning tools that confront a newcomer to the craft may seem daunting at first but once you are familiar with the different groups of tools and what they do, there will be nothing left to fear! Woodturning lathes may be one of the oldest machines known to man but there are still those strange names for the main parts to understand! Wood is (or was) a living material and needs to be treated the right way to get the best results. Grain, direction of cut and types of cut are all explained here. Blunt tools won’t give good results and can be dangerous. Learn how to create a good edge and how to keep it sharp. Different methods of attaching a piece of wood to the lathe to enable you to tackle any task you may encounter. Parallel grain woodturning and it’s implications and uses. Side grain woodturning, bowls and platters. Wood selection for thin and natural edge bowls. Advanced bowl turning techniques. Wood selection for hollow forms and vases. Hollowing tools and hollowing techniques. Some colouring and texturing techniques using basic equipment including scorching, texturing tools, spirit dyes, grain filling media, paint techniques and airbrushing. Use of power tools and air tools for carving and texturing; pyrography and texturing medium. How to turn a goblet and how to cut twist stems. Each of the above are suggestions for woodturning course sessions. However, as woodturning courses are generally one to one, we can tailor a session to suit your requirements. Contact Paul to discuss your plans. 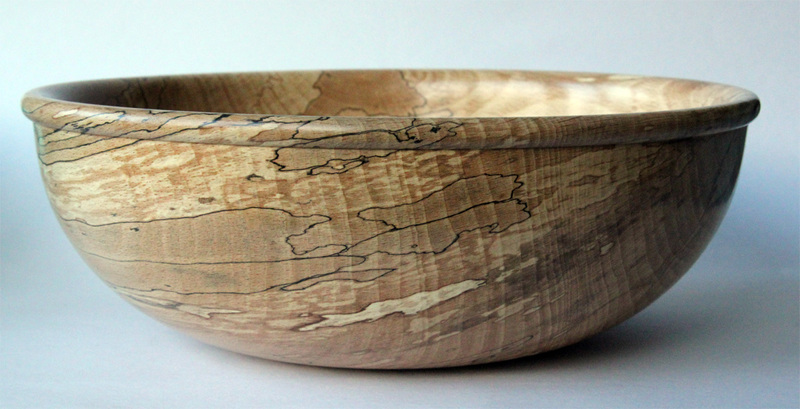 Woodturning course sessions can usually be held to fit in with your schedule and evening sessions are also available.